But how good is this Bowmore! The peat / sherry wedding is perfectly successful, balanced, complex. The wood is never invasive nor drying. Sherry smoke, hmmm it smells good! 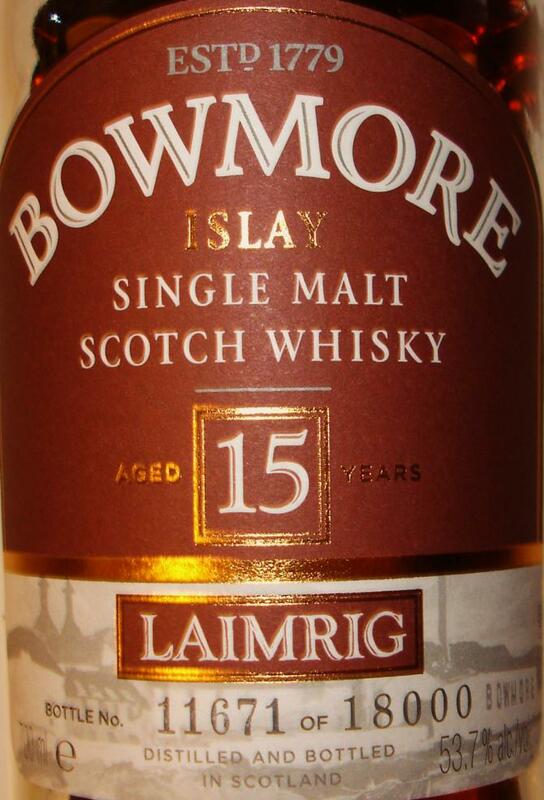 I feel the smoke / navy Bowmore side; and the sherry layer comes perfectly to marry with. Leather, spray, hazelnut, tobacco ... Very strong and very complex. Badaboum, explosion of exotic spices! Caramelized leather, candied ashes. Smoked peat arrives smoothly to become more and more present and mix with nuts and cooked blacks. Long that lining the mouth. A lot of salt and pepper in the throat and on the tip of the tongue. Black tea is revealed, cold ashes. And always this power in the mouth. Like the darkest, a little sweeter and more intense in the nose, less earthy and less bitter, but with water too. I would not know which one is better. 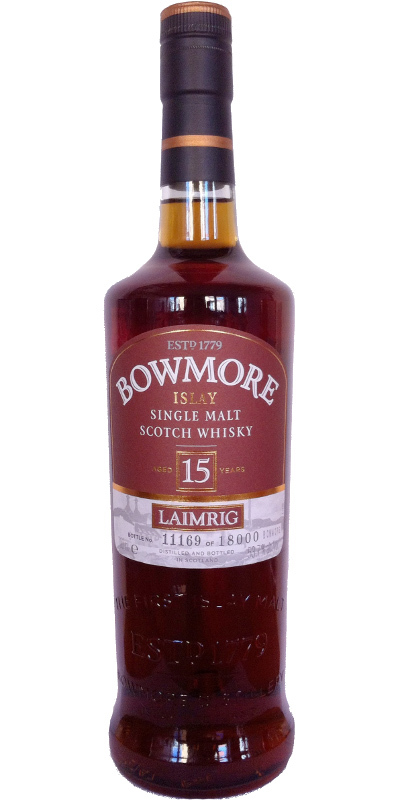 This Bowmore has what the Darkest lacked: power. The batch strength is good for him. That's how I imagine a Bowmore. Immediately heavy, full and round in the nose. Significant sweetness and fruits. The smoke is well integrated. With a little water slightly mineral. Strong on the tongue. Less sweet and fruity, but smokier than in the nose. When the first charge of smoke and power is through, the fruit comes forward a little better. For me, the perfect smoky sherry whisky! Sherry influences like coffee, dark fruits and some leather. A cheerful and cheerful mole, perhaps a bit rustic, but pleasant and leaves a positive feeling. Dry, open, processed wood, koh-i-nor pencils, light lacquer notes, mineral and sea tones, lemon, raw grain. Astringent, oak, pepper-ginger wave, varnish, a little smoke and coal in the background, lemon and orange peel, lollipops.